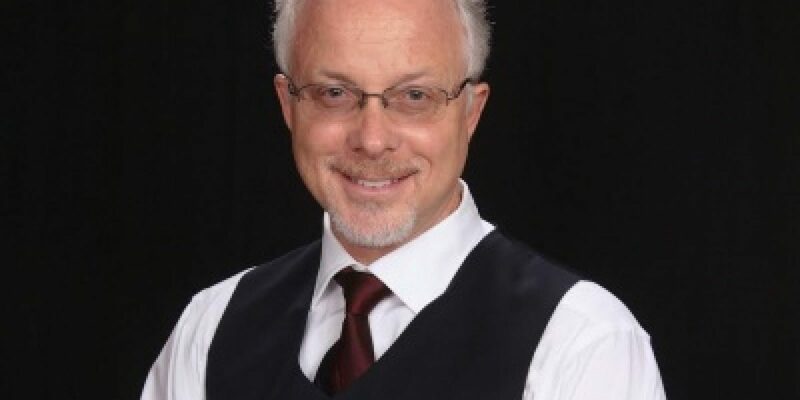 Guest Bio: Frank Ditz, MD is a board certified physician located in Rockledge, Florida. He specializes in primary care and family medicine. His current practice is located in the Suntree area, but he will soon open a newly built state-of-the-art 8,500 square foot facility 1 mile away in Melbourne, Florida. Dr. Ditz has been practicing medicine in Rockledge, Florida. Segment overview: Dr. Frank Ditz, MD, talks about leaving the Air Force and starting his personal private practice in Florida. Neal Howard: Hello and welcome to Health Professional Radio. Thank you so much for listening today. In light of the sweeping changes in healthcare in the United States, many people are looking for options – options that afford more personalized care. Care that doesn’t entail seeing your doctor for a quick 3 minutes after you see 3 or 4 other technicians and then have to wait in line at a pharmacy for an hour and a half. Our guest in studio today is Dr. Frank Ditz, a board certified physician practicing in Rockledge, Florida, specializing in primary care and family medicine. His current practice is located in the Suntree area, but he’s soon to open a newly built state-of-the-art 8,500 square foot facility a mile away in Melbourne Florida. He’d been practicing in Rockledge for the past 12 years. Welcome Dr. Frank Ditz. Dr. Frank Ditz: Thank you for having me. Thank you. N: Some of us are still a little bit in the dark about what exactly “concierge medicine” is and could you talk a little bit about what it is based on your experience? And is it something that you became familiar with while you were still in the air force? D: Yes. Well concierge medical practice is actually a typical practice of medicine and educated the way it should be not the way it’s been turned into. You know most people when they grow up with their lives, and the time I was 14 years old I want to be a doctor. And I knew I wanted to be a doctor take care of anyone, anywhere in the world, you know for anything as long as for the best of my ability. And that’s a fantasy and you live with that and you go thru and you do the best in high school and through college and your medical school and you do your residency and it came out and all of a sudden it’s the real world and it stop the practice the medics that you think it should be, it’s a practice medicine that is. And that a lot of times run by bureaucrats and insurance companies and all of a sudden helps the possibility of paying it all and taking care of your staff and paying your overhead and taking care of arrangement. And so reality hits you, quite starts really quickly. And so then you realize that the practice medicine is now economically credentialed to take care of your patient, doing the best that you can in your allotted amount of time. Concierge medicine frees you from that. N: You mentioned a bureaucracy a moment ago, was what you found in the civilian world as far as medicine similar to what you were used to in the military? D: I was very fortunate. I had a full academic scholarship under that. D: And it’s a phenomenal medical school. They treat us very well, the officers, you’re actually brought in as an officer and in my case air force given a full commission and everything is paid for. So you have you tuition and your books and you actually make a stipend they get paid to go to medical school. D: But in return, the case were within the workforce is actually quite high. And the expectations are quite high. But I would tell you that in the air force I didn’t see the problem… I thought the practice of medicine in the air force was probably one of the best things in my life. They were really good to their patient although they’re there is always restriction with time and things like that. We have a formulary, we have certain abilities that you know that take care in the hospital or in the medical centers. But we were really economically credentialed that the patients needed they got the test done and it was wonderful. But of course over time that changed and things got privatized. And even now the air force practice medicine is a lot of times privatizing and run by insurance companies. And now restricted to what’s allowed and what’s not. N: Now when you left the Air Force as a medical practitioner, did you immediately jump into concierge medicine in the private sector or is there something that you transition to over a period of time? D: Well I transitioned to it over a period of time. I’ve left the air force in 2001, a type of air force base here and that in Melbourne Florida and I started a solo private practice, I was actually came out in the community and was sponsor by …hospital and they helped me to get my practice established and I took off from there. But it was over a period of time that there’s medicine and reimbursements drop and the administrative work load increased and therefore your overhead increased and all these things came on that it became more and more impossible to actually run for private practice and the practice since all medicine that you wanted to do. Those doctors then, take a look at their options and in order to a see what ahead the, a lot of times merged with other doctors and to bigger and bigger bridge and then often into hospital practices to try to see they can maintain their overhead and give them more time with the patients. But over time it just got worse and worse. Until now I know a lot of doctors who are practicing from hospitals that had time on them and that they spent more than 7 minutes with the patients, they’re being reprimanded and if continues are being fired. N: That astounding that someone will put such restriction on the folks that we depend on the most. D: It is. And it’s scary because how do you tell somebody who you find something with breast cancer and you got 6 more minute to go and that’s if you’re lucky if it’s in the first minute. What if you’re the 6 minutes into it and you have to tell her you have breast cancer but yet your gonna lose your job and maybe have to leave the area and sell your house and your to another facility because you spend an extra you know time to talk to the person about something that can tell them. It’s different practice at medicine out there. And that’s why I went with signatureMD, and started the concierge medical practice. N: Coming out of the military, did you see that there were different expectations of care in the private sector as opposed to the patients that you were caring in the air force? D: Well in the air force, I was in Okinawa Japan for my first assignment out off Travis Air Force Based in California and I was very thankful Travis is a very big air force medical center and they took care of patients all the entire pacific, not only in the Pacific United State, but also the pacific going to Okinawa Japan, Hawaii and all of it in the exotic regions and tropical province that they had. But when I was in Okinawa there was very few American specialists and so as a fairly practiced doctor in Okinawa you were responsible for everything, there was no cardiologist. So we have to learn how to read echo cardiograms. And we had just few cardiologists and very few procedures. And so we took care of our patients in a different setting and much more I guess responsibility and a lot more, I guess you’d have to say responsibility. But in the civilian world of course you come back and there is everywhere you look there is a specialist and there is a billion new testing and an MRI scan, you can get within a mile of our location within half an hour on the average that you have an emergency. So there is a complete difference in overseas wards on medicine and things like that versus the typical practice of medicine here in the United States. N: We’ve talked about the differences between the practices and procedures in the military as opposed to the civilian world. Also a little bit about expectations of your patients in both of those arenas. How did you transition from traditional medicine to concierge? D: Wonderful. Well signatureMD is the national corporation where they have a group of doctors that have joined with us this model. And they actually help us quite a bit through transition with some traditional…service care into the concierge medical practice. One thing that happens is the patients pay a little bit extra, it’s outside their insurance usually and what in return for this they received the things that their normally insurance companies don’t normally have. The concierge medical practice all by appointments are 45 minutes long. And so if a typical insurance company pays for a 3 minute or 7 minute visit, my patients it helps to subsidize extra time. So I can look at the whole patient not just some of their parts. And so the other thing is in my patients, we do a signature or comprehensive physical examination and we do that at least once a year where we have a 90 minutes. So that’s 90 minute face to face just me and the patient, that’s not including technician time or anything like that, just face to face like you know throughout with the patient, all their medical concerns and all their medical problems and surgeries and put together all their preventive issues, wherein we can help with a complete formulation to take care of them for not only knowing what they have. But to protect them from things they might have or might be at risk for. D: Signature also have some amazing things, they have SMD labs that they work very closely with an another thing called MD Talks. And they allow us to do the very interesting chemical profile where we usually got 9 vials of blood and we do extensive testing on patients irregardless of their current diagnosis and the numbers and are able to diagnose problems that could really make a difference in their life or death processes before the patients happen. And it’s safe because these things are covered by Signature and processes really no one increase cost to the insurance company. N: You’ve been listening to Health Professional Radio, I’m your host Neal Howard. We’ve been in studio this after talking with Dr. Frank Ditz, he’s an MD who’s spent many years in the Air Force as a physician and transitioned into private practice in Florida upon separating from the Air Force. And finding out that medicine in the Air Force was quite different from medicine in the civilian world and he is since become a practitioner in concierge medicine, saying that concierge medicine is the way that medicine in the United States should be as opposed to a way that it actually is. It’s been great talking to you Dr. Ditz. D: Thank you very much. Thank you. N: Transcript and audio of this program are available at healthprofessionalradio.com.au and also at hpr.com and you can subscribe to our podcast on iTunes.